I’ve always been a big fan of The Ventures. By “always” I mean, since I was a little kid. I remember buying records and cassettes of them at garage sales. I didn’t understand what was cool music or un-cool music. I didn’t know about types or styles of music. I just knew that I’d sit down with them and enjoy the melodies. I didn’t even know at the time that it was guitar music, except that a lot of times there were guitars featured on the covers. Well, this new CD reissue of Walk Don’t Run is pretty cool. It includes the whole album in stereo and then again in mono. I still love this music. There is also a single version of one of the songs and another bonus track after the mono version of the album. The only questionable thing here is that after the second version of the album they add on some songs by a contemporary British guitarist, Bert Weedon and his album Teenage Guitar. I’d have to say that his stuff is definitely inferior and this might have been a better set without it. One more point I need to make, since our reviews are track by track, I had to include a separate review for each song on the stereo and mono versions. Since it’s the exact same songs, though, I’ve used the same review with just a statement about the mono version being the mono version. There’s a cool little chord progression to open this. When the guitar solos enter it’s almost a country styled thing. We definitely get a lot more country, almost rockabilly on this. It’s another killer tune, though and I really love the bass line. A slower, mellower tune, this one has shed all the country aspects. It’s got a great melody to it. In a lot of ways the bass line really drives this one. It definitely has some hints of Hawaiian music in the mix. It’s another good piece and another that has its own flavor. Now, this is more what people think of when the words “surf guitar music” are uttered. It’s fast paced and quite cool. It’s definitely more typical Ventures stuff. I’ve always liked this jam a lot. This is arguably the most instantly recognizable melody from The Ventures. I loved this song back in the day and I still love it. The drums beating around in the background (and often near the front of the mix) are great and this piece is just so catchy. Speaking of drums, that’s what leads this tune out of the gate. It’s more of a rockabilly kind of piece. Still, there’s enough surf guitar in this jam to keep it Ventures music. This is a fun tune with a lot of energy and some catchy melody lines. Drums start things off here and then we’re off on a jam that’s perhaps a bit more understated than some of the rest. That said, it’s also one of the cooler ones here. Here’s another tune that’s always been amongst my favorites from the group. It’s a cool melody that just sings without words. I like it a lot to this day. The bass on this thing is especially noteworthy. This jam is quite definitely surf rock, but it’s also got some country and rockabilly in the mix. It’s also a great tune. One might expect that we’d get a real honky tonk country sound here based on that title. Actually this is more fully surf guitar based than some of the earlier tunes were. It’s a great piece of music that holds up well to this day. This is the mono version. There’s a cool little chord progression to open this. When the guitar solos enter it’s almost a country styled thing. This is the mono version. We definitely get a lot more country, almost rockabilly on this. It’s another killer tune, though and I really love the bass line. This is the mono version. A slower, mellower tune, this one has shed all the country aspects. It’s got a great melody to it. This is the mono version. In a lot of ways the bass line really drives this one. It definitely has some hints of Hawaiian music in the mix. It’s another good piece and another that has its own flavor. This is the mono version. Now, this is more what people think of when the words “surf guitar music” are uttered. It’s fast paced and quite cool. It’s definitely more typical Ventures stuff. I’ve always liked this jam a lot. This is the mono version. This is arguably the most instantly recognizable melody from The Ventures. I loved this song back in the day and I still love it. The drums beating around in the background (and often near the front of the mix) are great and this piece is just so catchy. This is the mono version. Speaking of drums, that’s what leads this tune out of the gate. It’s more of a rockabilly kind of piece. Still, there’s enough surf guitar in this jam to keep it Ventures music. This is the mono version. This is a fun tune with a lot of energy and some catchy melody lines. This is the mono version. Drums start things off here and then we’re off on a jam that’s perhaps a bit more understated than some of the rest. That said, it’s also one of the cooler ones here. This is the mono version. Here’s another tune that’s always been amongst my favorites from the group. It’s a cool melody that just sings without words. I like it a lot to this day. This is the mono version. The bass on this thing is especially noteworthy. This jam is quite definitely surf rock, but it’s also got some country and rockabilly in the mix. It’s also a great tune. This is the mono version. One might expect that we’d get a real honky tonk country sound here based on that title. Actually this is more fully surf guitar based than some of the earlier tunes were. 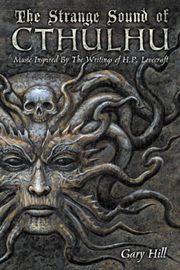 It’s a great piece of music that holds up well to this day. Here we get the single version of the previous tune. It rocks pretty well in this mix, too. I really like this bonus track. It’s got some great guitar melodies and the little drum bit is cool, too. This is the first tune from Bert Weedon. The bass line on this is cool. I dig the flute, too. It’s got a lot of rockabilly in the mix. Overall, I wouldn’t think of this having the same kind of magic that the Ventures stuff had, but it works reasonably well. This kind of feels like a rip off of “Tequila” to me. It’s not bad, but also not great. Here’s a song that was originally recorded by The Shadows. 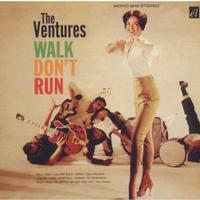 The Ventures did a version of it, too. It’s a good piece and fits better with the Ventures stuff than some of Weedon’s other material. The flute adds something here, too. Somehow this one feels more like spaghetti Western music. That is, until the horn comes in and makes it seem like some kind of 1950s rock and roll. The recording seems a little muddy, too. This is not terrible, but definitely one of the places where the wheels come off a bit. This feels much more in a jazz meets rockabilly kind of sound. It’s a little noisy and kind of fun. It just doesn’t seem to belong here to me. That said, I can see why this was a hit for Weedon. Starting with piano, this is a big change. It’s definitely more of a rockabilly song with some of that Ventures surf guitar sound in place. This is better. It’s still not up to The Ventures kind of scope and scale, but it’s good. Now, this is a definite “skip” kind of song. Well, I guess I should say, it’s not that bad, but it doesn’t fit. It would be better on a big band album. It’s got vocals that are hokey and a rock and roll meets big band vibe to it. This one is much like the previous one. It’s not as good as that one, though.